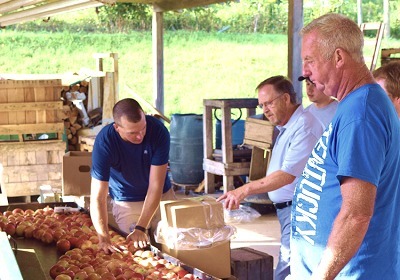 Harlan County Farm Bureau’s president and Young Farmer Committee toured the Apple Tree Farm in Cumberland, KY. 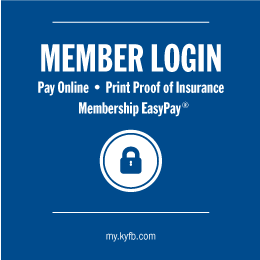 It is Harlan County’s new official KYFB Roadside Farm Market. The Apple Tree grows a large variety of apples, including the Honey Crisp, Scarlet Gala, Winesap, Empress Gold, Mollies Delicious, Ginger Gold, Jonamac, Suncrisp and the Ida Red. 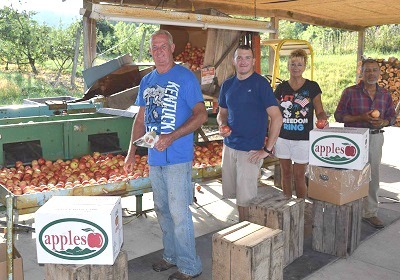 They sell the apples to Harlan, Perry, Knott and Letcher County School and also to Food City which distributes them out of all their stores. The rest of the apples are sold at their market. The Apple Tree’s phone number is 606-589-5735.